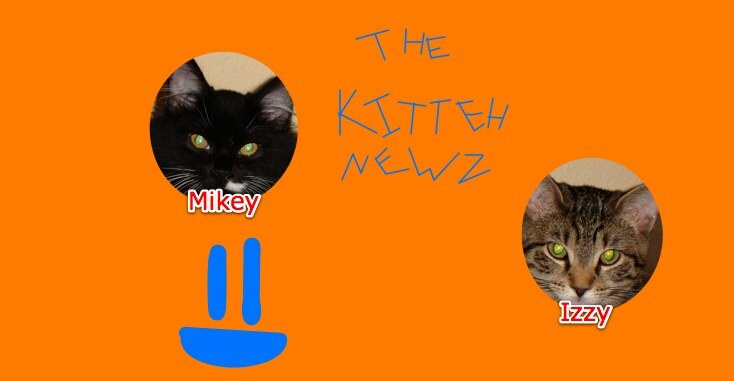 The Kitteh Newz: Vote for your favorite Kitteh Halloween costume! Above: Mikey's Witch. Left: Izzy's Witch. Above right: Izzy's Cowgirl. Above left: Mikey's Cowboy. Above right: Izzy's Little Red Napping Hood. Above left: Mikey's Little Red Napping Hood. Below: Mikey's Ghost Collar. Right: Izzy's Ghost Collar. Hi there! Now it's October, and we're all getting ready for Halloween, right? Well, Mikey and Izzy are. Yesterday my mom went to PetSmart to buy food and litter, and also bought cowboy/girl, ghost collar, and witch cat costumes. Here you can vote for your favorite Kitteh costume. Tell me via comments, email or the poll at the top of www.KittehNewz.com which one you like the best! Sorry some of the photos got kinda cut off -- just click each pic to view it in a different tab.